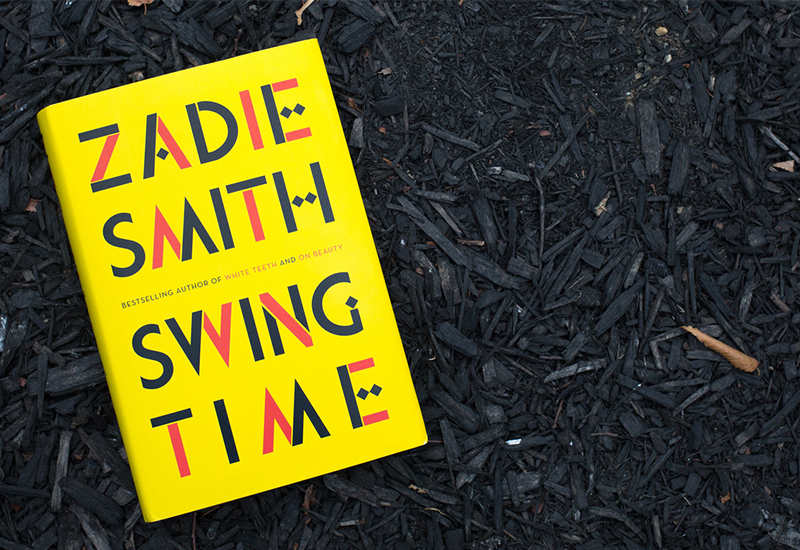 Swing Time is the first work of fiction I read by Zadie Smith and its style lived up to what I have heard about her work: her prose is elegant and literary, the play with words is fluid, adept and completely singular. The story moves slowly but deliberately and reads as having been carefully cultivated. The themes of the book, though, are what struck me, as they are so plentiful it seemed as if Smith touched on nearly every dimension of the human experience. Some of the themes are: parent-child relationships, single motherhood, puberty, poverty, wealth, overwhelming materialism and fame. There are some themes, though, that are more prominent than others; themes that thread their way throughout the novel, bringing the characters back to each other again and again and weaving for the reader an intricate lens through which to see the world Smith has created. Strikingly, the narrator and several of the crucial characters are unnamed, leaving the readers with gaps and half truths about who is leading us through the story. The narrator jumps through time in her telling and, at first, it’s easy to get lost. It isn’t until getting further into the novel that pieces are revealed, voices are magnified, and blind spots begin to make sense. Even without names, though, the characters feel remarkably vibrant. So full and alive are the characters that is seems as if the storyteller was sitting around a fire with friends, narrating on her troubled life, digressing at certain checkpoints and then getting back to the true path. Her prose is elegant and literary, the play with words fluid, adept, and completely singular. The mothers, also unnamed, were other voices I wish could’ve been magnified. If withholding names took away agency from some of the characters, assigning names had the opposite effect. Against the backdrop of the unnamed, Tracey and Aimee–the two defining relationships of the narrator’s life–stand in stark contrast, bright and immovable forces whose influence over the narrator makes much else fade into the background. Tracey, the narrator’s childhood friend–and, at times, rival–is central to the narrator’s discovery of the power of dance. At times the pair seem as different as two young people can be, but they are pulled together by two things: they’re both biracial and love to dance. Meeting at a community dance class when they were young, Tracey has the talent–dancing comes naturally to her but she is careless, rarely applying herself and rebelling against authority.Our narrator, on the other hand, lacks the natural skill that her friend has, but has the drive. The author’s fascination with a dance sequence from the movie “Swing Time” provides poignant, recurring moments in the narrative, highlighting dance as a much-needed form of self-expression. It is a breath of fresh air, a source of inspiration throughout the story, giving her something to hold onto in a life that so often does not feel like her own. The question of friendship is perhaps the most complicated one in the novel; is friendship based on trust, similarity, and support, or rather is it about coming back to each other time again and again, no matter the consequences? From a young age, Tracey’s attitude towards everything she did bulldozed the narrator, ultimately casting both in a negative light. Tracey’s need to steal the show is bracing, as is her need to be the center of attention and her unquestioning belief in her self-righteousness. On the other side of the coin, though, the narrator’s refusal to stand up for herself–wading through life as things happen to her–can be just as infuriating. One wonders whether a relationship that seems to bring out the worst in both parties can still be considered a friendship, but their relationship remains one of the most defining aspects of the book. Another strong figure in the narrator’s life is her mother, a black woman who constantly attempts to further her intellectual and professional life, often at the cost of keeping her family at a distance. Her mother also constantly prodded the narrator to achieve more, but her prompting, while in some lights could be perceived as support, fell flat as her misplaced ambition was completely one-sided. The narrator’s father, a white man, was the caregiver of the house, cooking and providing emotional support on a daily basis. His lack of ambition, though, leaves him one-dimensional, defined only by the security he provided, leaving his own story lost in the cacophony. It is a breath of fresh air, a source of inspiration throughout the story, giving her something to hold onto in a life that so often does not feel like her own. In many ways, Swing Time is a novel about power, or lack thereof. None of the core elements of the story–names, dance, friendship–are as simple as they appear on the surface; each have their own complex power dynamics. The novel’s strength, perhaps, is in presenting us with more questions than it answers–questions about the power of our own names, questions about the role of an art form like dance, questions about what constitutes a friendship, and questions about what it means to find oneself, to become self-actualized in a world where everything is acting upon you. Bianca’s words have appeared in VIBE, BET.com, The Miami Times, Tallahassee magazine and Haute Living. Bianca is the founder and curator of the virtual book club, Books for the Soul. She is the co-founder of awOke Newsletter, a quarterly letter for the feminine voice and the editor and assistant producer at Sejoe Entertainment. While the sun is out, you can find her at Simon & Schuster, working on adult literature titles.